Will Content Engineering & Content Marketing Finally Connect? Home / Treasury / Articles / Will Content Engineering and Content Marketing Finally Connect? Will Content Engineering and Content Marketing Finally Connect? Today, content marketers and content strategists spend more effort than ever before creating more intimate, personal experiences for customers across multiple channels. In the coming years, they are expected to do the same, or at least some will. Many marketers are still grappling with the essentials of content production and distribution. What began a decade ago as a whisper in marketing corridors, the call to deliver personalized relevant content, has evolved into the realized imperative we know today as content marketing and customer experience management. Market leaders now realize the value of forging their competitive edge at the hands of content strategists, developers and content technologists. The leaders build expert teams that engineer a cohesive solution addressing the structure of content, personalizing it for unique users, designing it for multiple screen sizes, and delivering it across multiple channels and devices. Further answering the call, many marketing and IT teams are merging creatively. Together, cross-functional teams engineer content strategies, systems and technologies that deliver real time, reactive, personalized intelligent content experiences. Budgets cross the chasm between IT and Marketing, and project operations are often mediated by cross-functional project management office that, when healthy, aligns strategy across multiple technology, operations, and marketing integrated initiatives. Not long ago, CMOs were slower to invest in the promise of "smarter" content. We expect that will start to change, but it will be slow-going. Most content teams have yet to show how disparate systems and technologies could really be sown together to deliver on the promise of real-time intelligent content. Most C-Levels do not yet understand the business value of intelligent content. Well-engineered content and data assets free content to work across an enterprise, to become moveable, interchangeable, and flexible; based on the who, what, when, where and how of every customer interaction. But the realized value comes two and three steps removed from the spend, which makes CEOs, CIOs and CMOs often unable to come to a common conversation about investing in enriching content assets. Advisors to the C-Suite have caught on and are talking the language of ROI. "The power of today’s digital tools and the scientific approaches they make possible are not only enabling a more substantial role for marketing but also giving it opportunities for real-time impact," says McKinsey & Company in their report The Dawn of Marketing's New Golden Age. "More scientific marketing means that CMOs and other senior leaders need enhanced analytical skills to exploit data possibilities more fully and stay ahead of the whirl of developments." McKinsey suggests the new role of the marketing technology officer (MTO) could be a near-term reality, however this anointing of a new C-level czar ignores the need for a more holistic set of content engineering skills and process throughout the organization. CMOs and CIOs don't need another general on the battlefield, but rather skilled content engineers and a content engineering process making complex multichannel content marketing possible. It is good to see marketplace leaders recognize the need for collaboration among marketing and IT. However, the understanding of how marketing and technology collide is birthing a need for specialized talent able to synthesize marketing goals, technology solutions and data analysis into a methodology capable of producing intelligent content and ideal customer experiences. Speaker, consultant, and content strategist Noz Urbina described the advantages of engineering intelligent content, "Content is 'intelligent' when the human-consumable bits of content exist intermingled with significant amounts of descriptive information (metadata) about that content. This extra information embeds our human understanding into the content itself so that machines can operate on it more effectively. Metadata explains to the computer the difference between a general paragraph and an expert’s hot tip, or the difference between a part number and a phone number. This extra layer of information helps machines determine where, when, and how to present content to the users who will find it most interesting," he told the Content Marketing Institute in the article What Puts the Intelligent in Intelligent Content. CMOs are beginning to understand that content technology unlocks the user experience. It’s the dawn of the era for smart content, and aligned technology and marketing teams. Intelligent content is content enriched with structure, metadata, schema, taxonomies, and other markup — ready to change and rearrange in real time based on rules and user context. 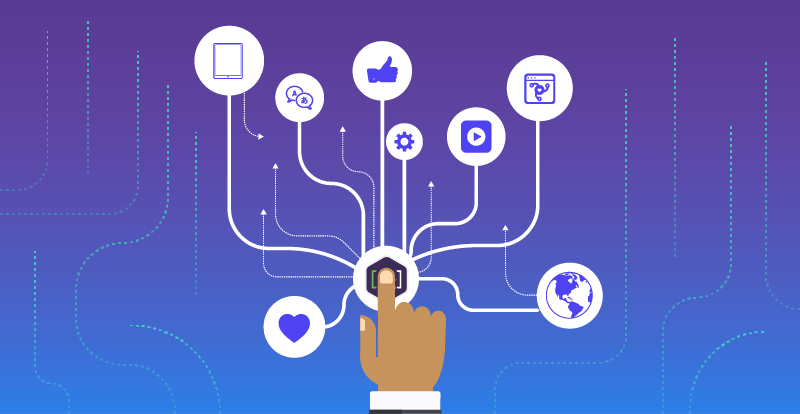 The discipline of content engineering plays a role for marketing teams keen on delivering the right content to the right person on the right device at the right moment. As explained in the McKinsey report, "In a digital economy, marketing is no longer a “batch” process but a continuous one. Consumer preferences change with stunning velocity, as do the dynamics of markets and product life cycles. This culture of urgency means that marketers need a new agility, plus the management skills and organizational clout to bring other functions together at a higher clock speed ... Complexity is the enemy of speed, which is a big reason why a number of leading marketers are reforming their organizations. Too often, expanding geographic footprints, product proliferation, and new arrays of channels and digital specialties have led to complex hierarchies, silos, communication gaps, and redundancies. But these can be tamed." Content engineering tames the complexity between content strategy, content management systems, and customer experience management. To truly understand content engineering, one must understand how content engineering ultimately makes content intelligent and enables personalized customer experiences. Content engineering is the discipline of organizing and shaping the structure and application of content, especially digital media, within technical environments. Content engineering disciplines impact every industry, business unit, and technical environment that works with content. Every interaction with content shapes experiences, grows knowledge, and ultimately moves our economy and society forward. Digital marketers depend on content to inform and influence behavior. And digital marketing platforms increasingly require intelligent content that can relate to other content, reshape itself, and syndicate outside the content management system. Marketing effectiveness increasingly hinges on delivering compelling content, in various forms, personalized to customer preferences and devices. The content engineering mindset understands both the technical implementation of the content, and the imperatives of marketers or other business stakeholders. We predict that we will also see CMOs, CIOs, CTOs, and CEOs working together much more strategically to align and integrate strategy with technical operations. Executive teams will begin to realize that company positioning strategy involves storytelling and the means to deliver the organization’s story and promise to customers across channels, and to involve customers as players in the organization’s story. App stores and native mobile apps matter. Search engine results matter. Social matters. On-site search matters. Offline experience matters. New devices and channels are around every corner, making the landscape more complex every quarter. To reach diverse channels that content consumers use, every content asset must adapt. Whether text, video, images, tabular data, or audio, content and metadata must meet consumers on the consumers’ terms. This is where content engineering delivers the goods, where the right team members can be leveraged to implement a solution that connects content to strategy, strategy to creative, and all of it to platform technology. Creating content that lives a relevant life among different individuals, and which delivers different experiences to unique people who see the world through their own needs. Authors and publishers must create content composed of specific components with precise roles, defined by independent attributes. The power being that structured content, when married with responsive interfaces, becomes flexible to multiple resolutions, functional across multiple browsers, platforms and device types, reusable in native mobile applications, and compatible with all the new ways of consuming relevant information that come along each year. It is easy to see how content engineers make customer experience management work. The upcoming year is a time when agencies, in-house departments and marketing leaders will start to further recognize the necessity of content engineering within their teams, and add content engineering into standard process workflow. The reason we do not see more successful stories of customer experience management in the wild has everything to do with the missing function of content engineering. Content modeling, metadata, structure, reuse, personalization mapping does not happen magically on their own. They are born of hard work, insight and experience. Yet so many current development processes either are ignorant of the need for content engineering process, or assume content engineering essentials will emerge from the integrator or software development team. When organizations put together content strategy, CEM platform capabilities, and the know-how to engineer content to enable personalized customer experiences, they start to see the promise of CEM begin to manifest. The reality is that we cannot keep shoving customer experience management projects into 2005 web development process shoes. The shoes don’t fit. It’s not 2005 anymore. Content strategists and developers can’t do it all. The landscape is complex, and gets more complex by the day. Put content engineering into customer experience management. It is highly likely that soon we will see key individuals rise to perform the content engineering function from within content and web teams. These are the individuals capable of addressing dual sides of the customer experience management equation. Content engineering involves the blending the perspectives of groups involved in the production of marketing strategy and content (Publishing and Editorial staff, Marketing, Sales, HR), with more technical departments (such as Software Development, or IT). The content engineering function serves to both as a facilitator and mediator. Content engineering functions, once fulfilled by other specialists such as content strategists or authors, or technical staff, will soon merge into a defined and integral role securing intelligent content a place to rise to where it belongs. ​​​Read [A]'s What is Content Engineering article. ​[A]Ⓡ content engineers are available to support and extend teams with engineering functions to complement existing strategy, creative, development, and UX professionals. Contact [A] today to get started.